Make lists of places you want to try. Rate places you've tried. 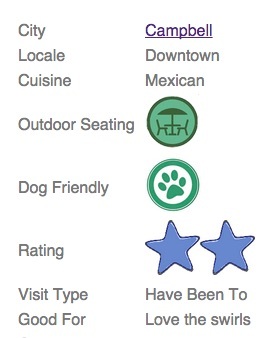 One click to Yelp reviews or Open Table reservations.